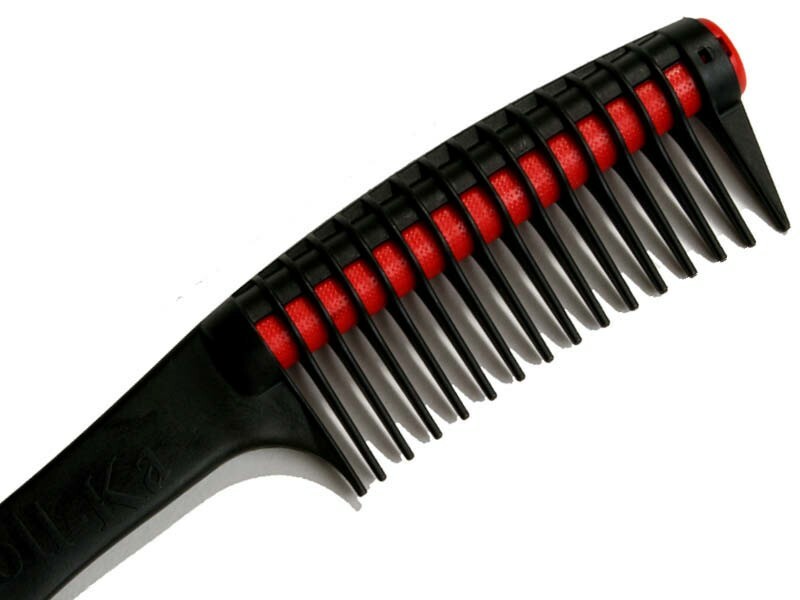 For salon or at-home use, Triumph Technik anti-splicing hair comb Roll-Ka features innovative design and antistatic plastic body. 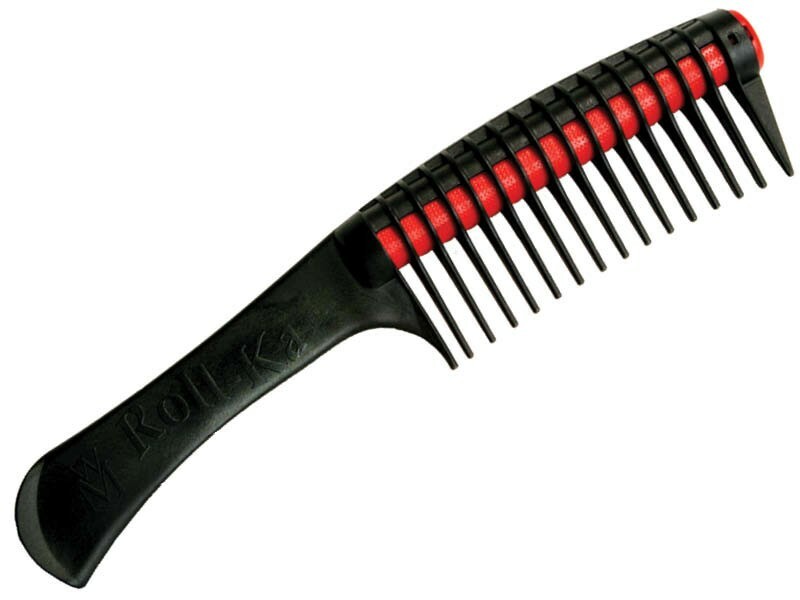 It is crafted in Germany by Europe's oldest manufacturer of the finest combs and brushes since 1856 and meets the highest professional requirements. 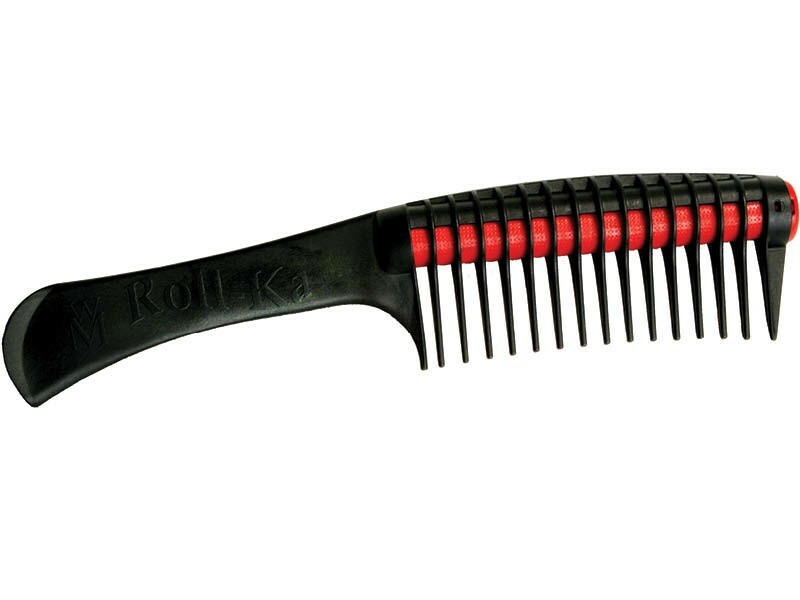 Roll-Ka is designed for even distribution of hair colours and treatments thanks to the integrated roller. 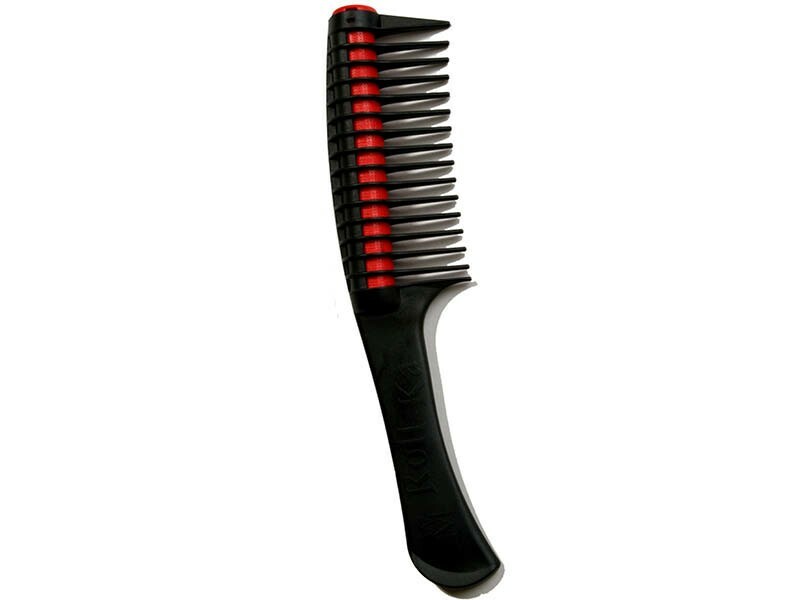 It is very gentle on hair and perfectly spreads hair cosmetics without any unpleasant pulling. The roller is easy to remove and clean. 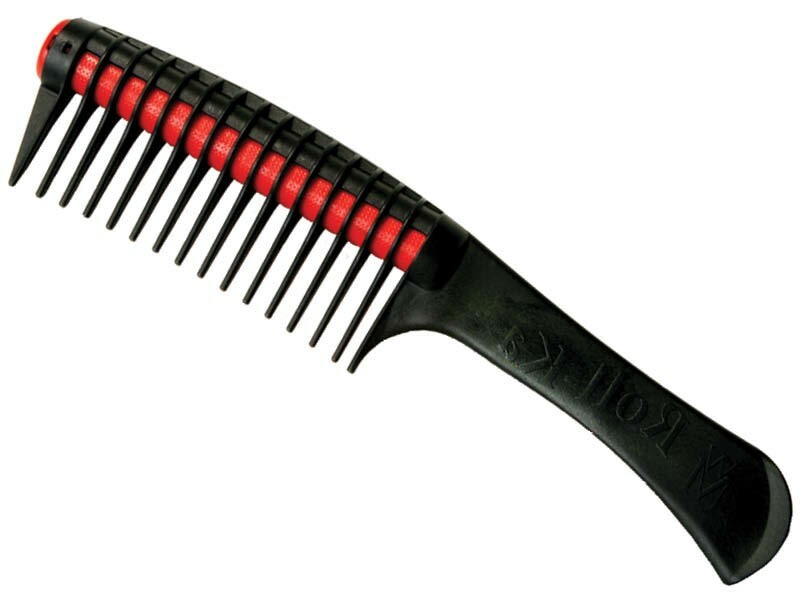 Once the roller is out, the comb can be used as a hair detangler on wet or dry hair thanks to extra wide teeth. Comfortable handle ensures fatigue-free use. 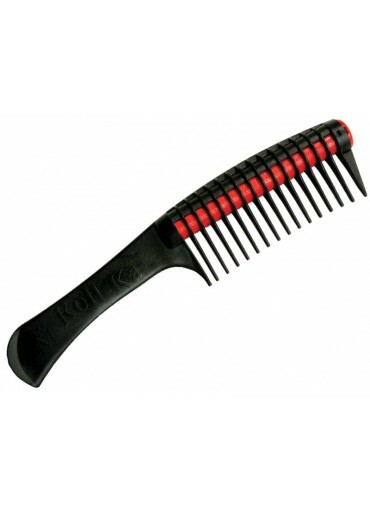 Roll-Ka is made with the highest quality moulding tools and ideal for any type of application.